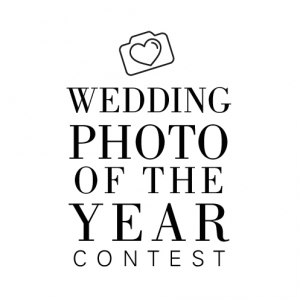 We Have a Winner for Our Favorite Engagement Reveal Contest! 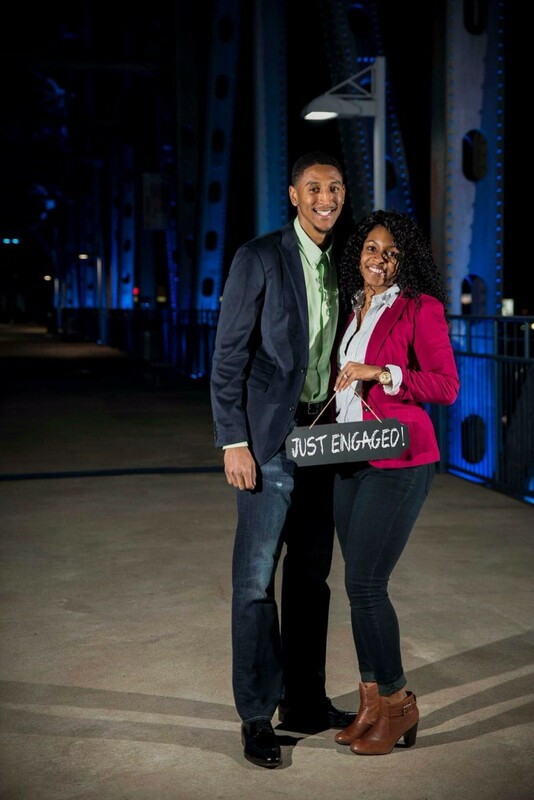 "The bride and groom are both members of the Arkansas State University Cheerleading team. The team was getting ready to travel to Orlando to compete in the Universal Cheerleading Association's College Nationals cheer competition. The night before they left, they participated in a showcase to perform their routine for the public. 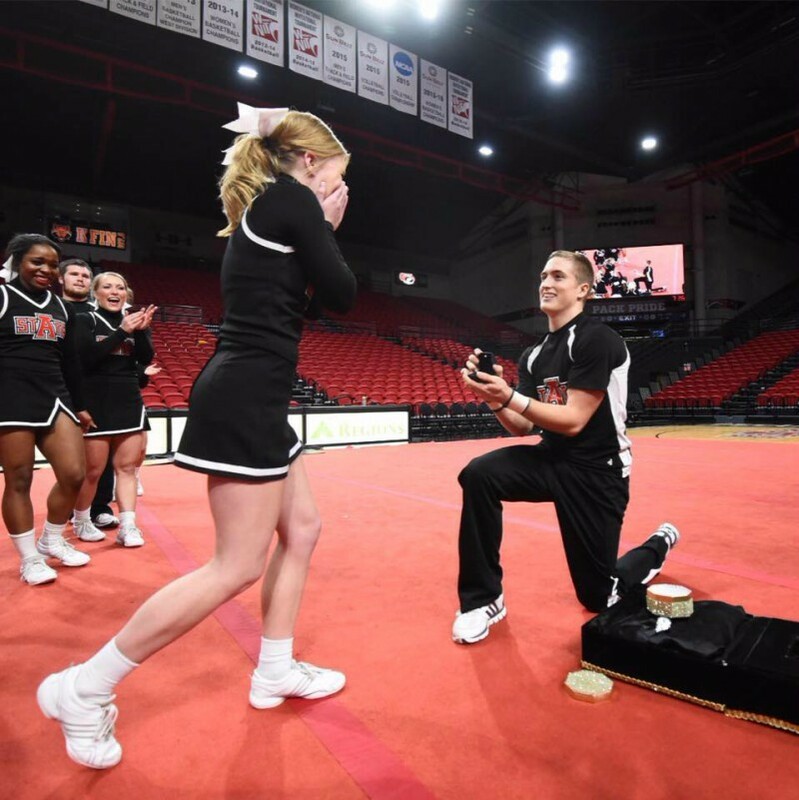 During this showcase, all three ASU spirit squads and their mascot, "Howl," helped with the proposal." 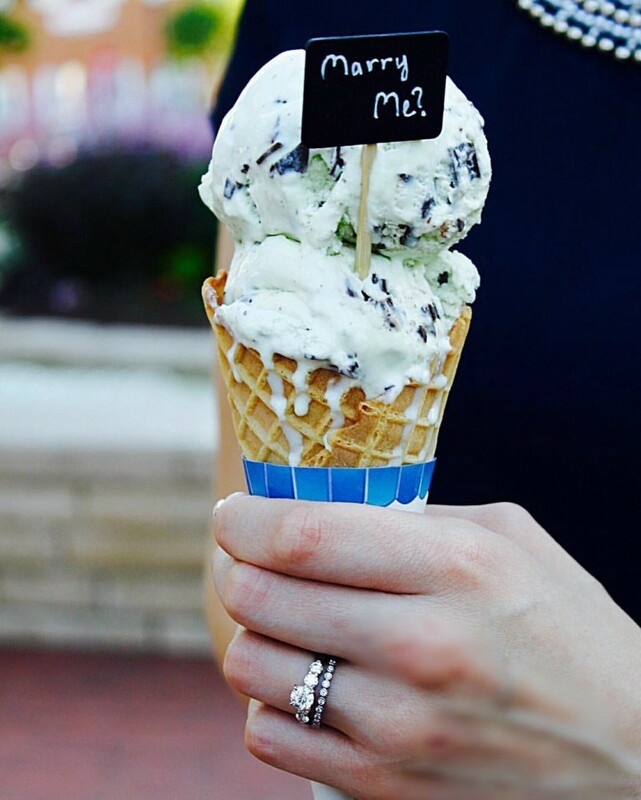 As if that's not cute enough on its own, there's also an adorable engagement video to boot! 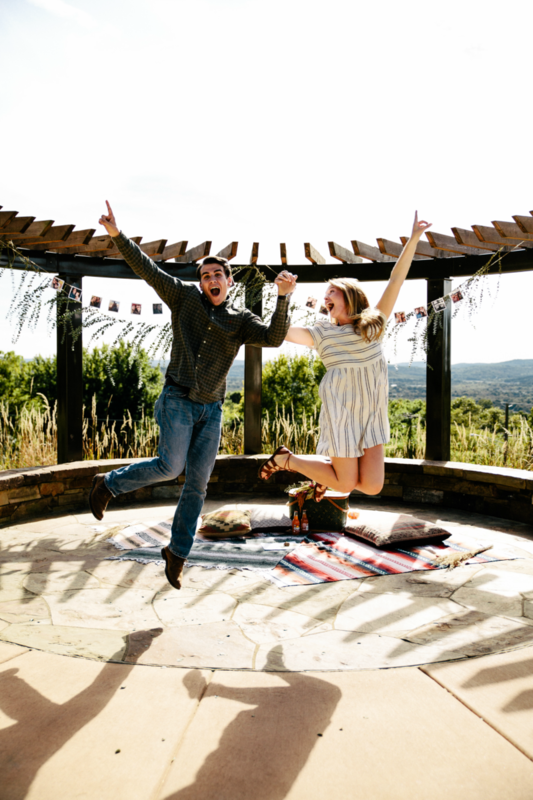 Because we couldn't share just one of these precious engagement snaps, we decided to include the top 10 crowd favorites. Enjoy! "The weekend of February 18, my mom told me to make sure I was off work and able to come home to take family pictures. As soon as Kenneth and I had finished getting ready, my parents told us we could go ahead in my car and they would be right behind us. When we finally got to Burns Park in Little Rock, we found our photographer, Becca White. She informed me that my mom had just called her and they were running a few minutes late. She had a quilted blanket, a water pail with a dozen roses and a few other props for us. We went ahead and took a few pictures of just Kenneth and he asked if we could take some pictures with the flowers. He handed me the flowers and grabbed my hands and the next thing I knew he was down on one knee!!! 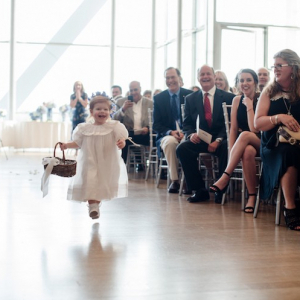 I was so excited Becca was there to capture one of the best moments of my life! After he proposed we took a few more pictures and headed back to Bryant where we were greeted by all of our close friends and family! It was perfect!!" 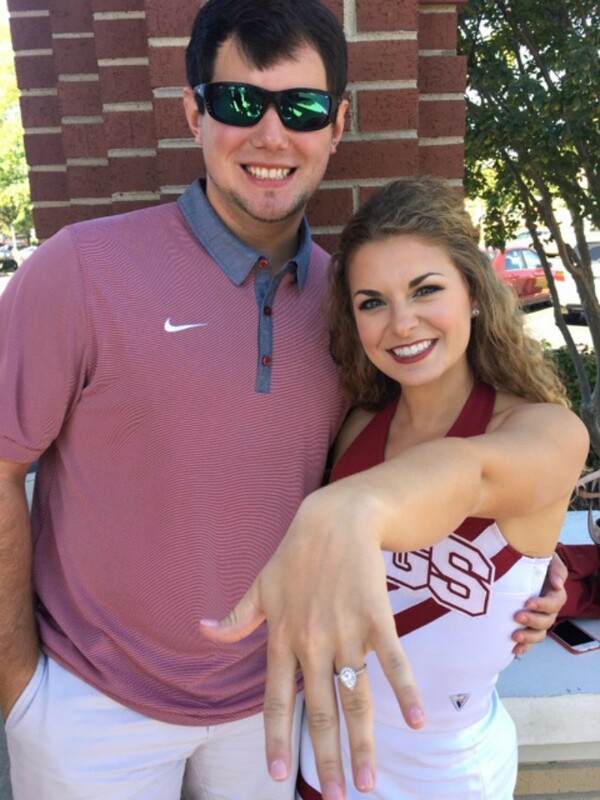 "Jesse and I both attend the University of Arkansas and since I've cheered for four years, he knew Razorback Stadium would be the perfect place to ask. The Friday before a big game, the stadium glows red. It was there overlooking the field he asked me in front of all of our friends and family. We celebrated the next day with 72,000 of our closest friends and a Razorback win!" "Evan brought me to the Bentonville Square, my favorite place in the world, where we happened to 'run into' my parents. They stalled me in casual conversation while he went to go get my favorite ice cream from Spark Cafe. He came back, I turned around and saw a cone with a 'Marry Me?' sign in it. 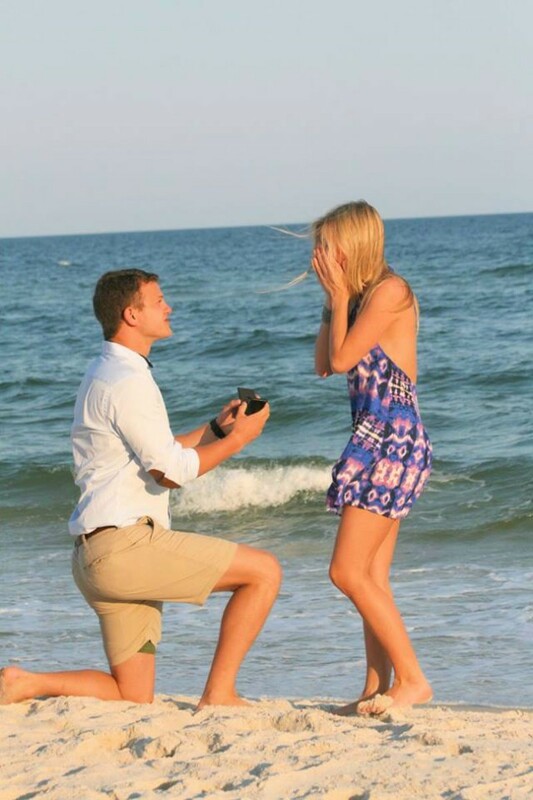 He got on one knee, and I saw in his eyes that this was the moment we would remember forever. After I said yes, his family came out of the bushes with a camera and flowers! It was so nice to have all our family there to celebrate the moment with us. I can't wait until our big day, June 3rd. It will be the best day of our lives!" "Michael planned a birthday dinner for Antionesha that included her family and closest friends. 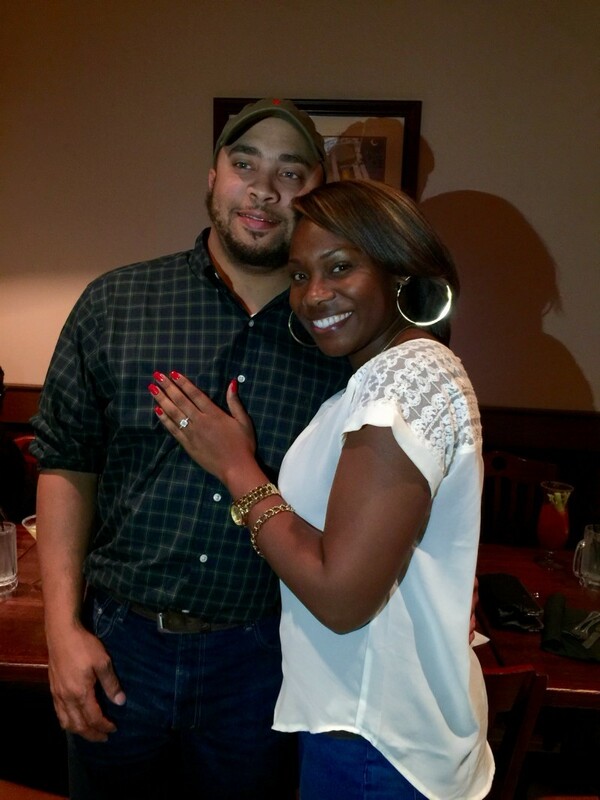 Right before dinner was served, he got down on one knee and asked her to become his wife! They're tying the knot on Saturday May 6, 2017!" "We went to the beach for our summer vacation with my parents and we were supposed to be just taking some beach pictures before we went to dinner. 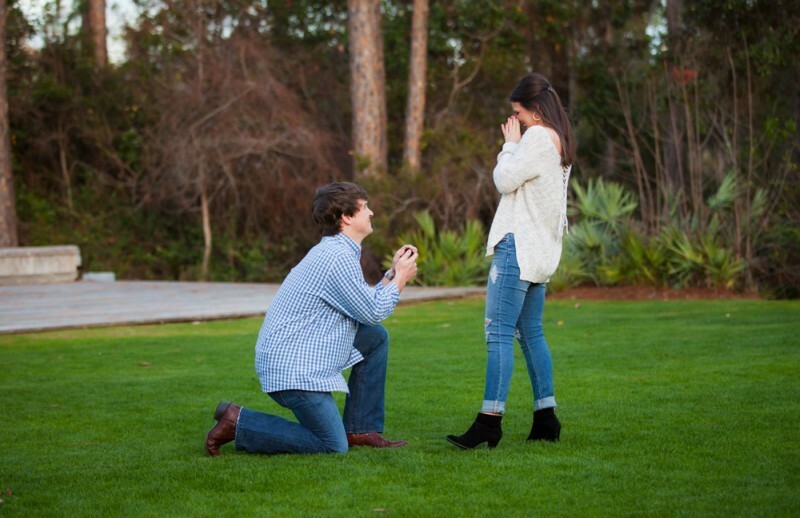 My mom was supposed to be 'making sure her camera was working' and so we were being silly, making some funny faces and playing around when all of the sudden Daniel gets on his knee and pulls the ring out of his back pocket! HE PROPOSED right there on the beach with my mom taking photos and my dad was video-ing!! My grandparents and brother and sister were there, too! It was so special!! Everyone on the beach (and being 4th of July weekend, there were TONS) was clapping and congratulating us!! Our romance is truly a fairy tale! We met a week and half before I left to study abroad in Spain for five months last year. We fell deeply in love as we had really long facetiming sessions and traveled Europe together. 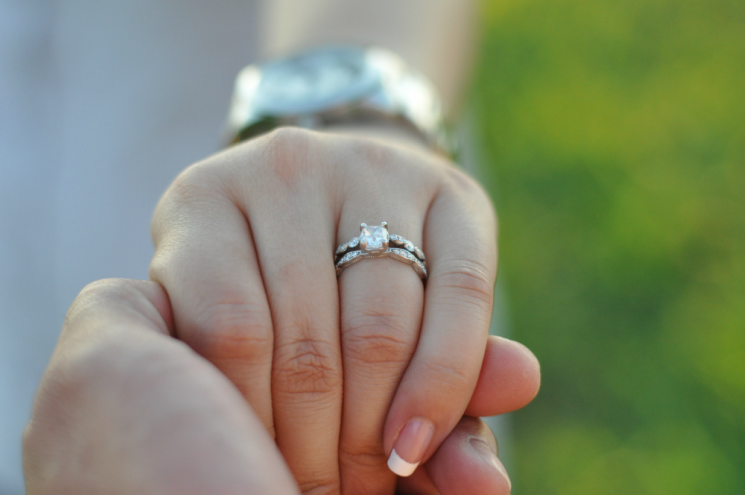 I'm marrying my best friend!" "We were supposed to be meeting Zach's family before dinner to take family photos in a beautiful area with Christmas lights and a Christmas tree in WaterColor, Florida. When we arrived his parents and sister were 'running late' but a photographer approached us claiming to do 'marketing in the area' and asked to take a few pictures of us and his brother. Shortly thereafter, he got down on one knee and asked to spend forever with me! We later went to the restaurant where my parents and two of my best friends surprised me. So sweet!" "Stetson told me that Ashley wanted to give him a photoshoot as a graduation and birthday gift. He graduated from UALR in December and his birthday was January 31. He proposed to me on HIS birthday! 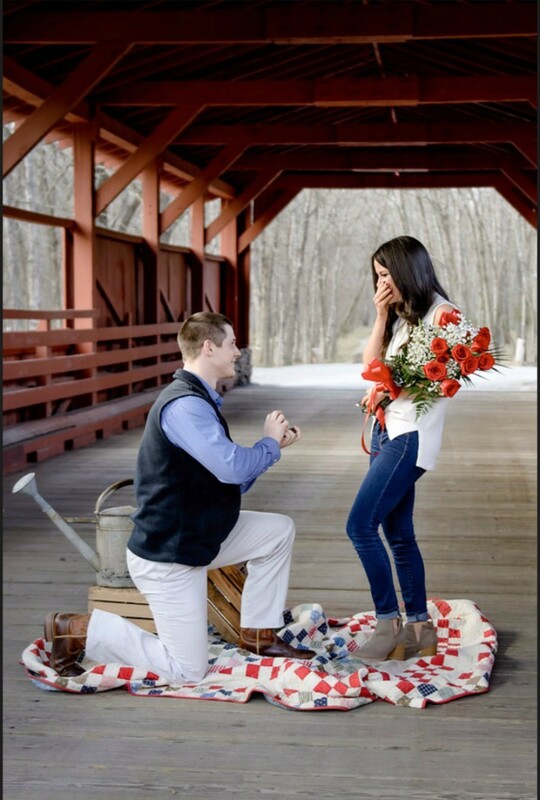 The shoot was actually a planned proposal. I was totally surprised." "After church on a Sunday in October, Jon asked if he could take me to the Fayetteville Botanical Gardens. After brunch, we walked around the beautiful garden and talked about all of the things we were looking forward to in the next coming months. As we walked out to the parking lot, I needed to run to the restroom inside, so Jon said that he would meet me by the car. To my surprise, when I came back out, my sister was sitting in the parking lot with the biggest grin — she rolled down the window and said, 'Get in the car, it's the day you've been waiting for your whole life!' 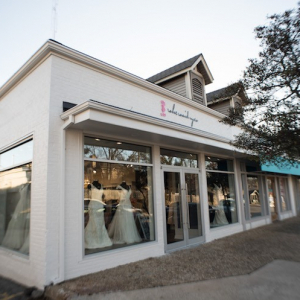 She threw an Anthropologie bag over my head and drove me to the place where Jon had first told me he loved me. I got out of the car and slowly walked to a beautiful awning overlooking Fayetteville. He then got down on one knee and asked if he could have the honor of being my best friend and husband for the rest of my life. He opened the green velvet box and revealed a ring that I would later find out was made with my mother's engagement diamond. Behind us was a perfect picnic (picnics are my love language) and a stack of letters written to us from our close friends and family." 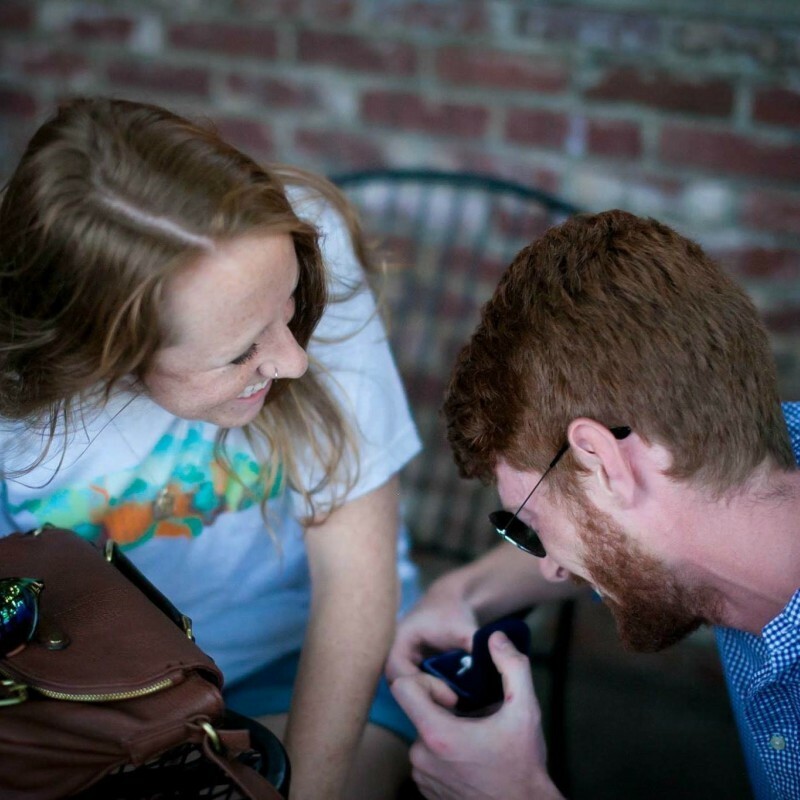 "Ethan and I met for the first time at Hammontrees in Fayetteville. My friends tricked me in to thinking we were having a casual dinner, but Ethan ended up proposing to me at the same table we met at a year later!"